We study the Fermi gas quantum mechanics associated to the ABJM matrix model. We develop a method to compute the grand partition function of the ABJM theory, and compute exactly the partition function Z(N) up to N = 9 with the Chern-Simons level k = 1. We find that the eigenvalue problem of this quantum mechanical system is reduced to the diagonalization of a certain Hankel matrix. In reducing the number of integrations by commuting coordinates and momenta, we find an exact relation concerning the grand partition function, which is interesting on its own right and very helpful for determining the partition function. We also study the TBA-type integral equations that allow us to compute the grand partition function numerically. Surprisingly, all of our exact partition functions are written in terms of polynomials of π −1 with rational coefficients. A. Gustavsson and S.-J. Rey, Enhanced N = 8 Supersymmetry of ABJM Theory on R 8 and R 8 /Z 2, arXiv:0906.3568 [INSPIRE]. M. Mariño and P. Putrov, Interacting fermions and N = 2 Chern-Simons-matter theories, arXiv:1206.6346 [INSPIRE]. A. Klemm, M. Mariño, M. Schiereck and M. Soroush, ABJM Wilson loops in the Fermi gas approach, arXiv:1207.0611 [INSPIRE]. 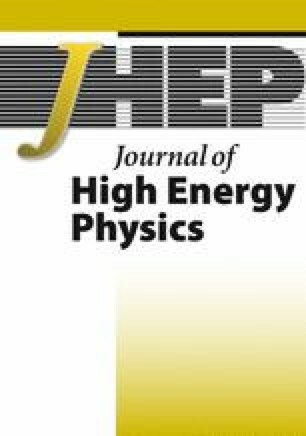 L. Rastelli, A. Sen and B. Zwiebach, Vacuum string field theory, hep-th/0106010 [INSPIRE].